Garry Hynes, Artistic Director, Druid Theatre; Katherine Licken, Secretary General, Department of Culture, Heritage & Gaeltacht; Andrew Hetherington, Chief Executive, Business to Arts; Fiona Clark, Chief Executive, Cork Film Festival. 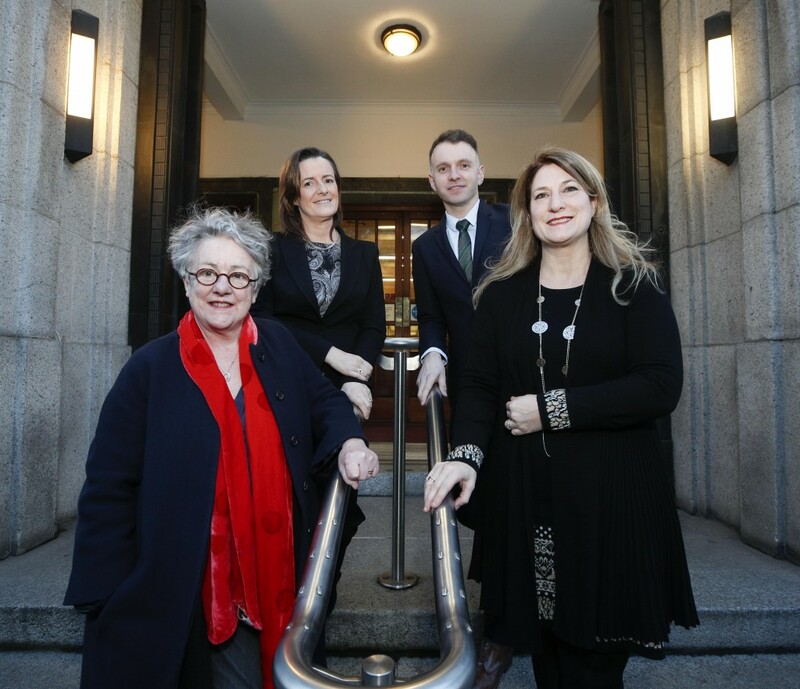 Business to Arts in partnership with the Department of Culture, Heritage & Gaeltacht announced the two successful organisations who will participate in the Fundraising Fellowship, Ireland programme. After an open call for applications in November 2017, Cork Film Festival and Druid Theatre have been selected. The Fundraising Fellowship, Ireland offers both organisations matched-funding (maximum of €15,000) toward the employment of full-time fundraising or marketing & fundraising human resources, contracted over a 24-month period. The 2 recruited Fellows will take part in a structured programme of training and mentorship developed by Business to Arts as part of the Fellowship. The aim is to equip the recruited fellows and their cultural organisations with skills to build fundraising capacity in their organisations. Fundraising Fellowship Ireland is informed by the two-year Fundraising Fellowship, Dublin programme, which was created by Business to Arts in partnership with Dublin City Council’s Dublin’s Culture Connects. This programme of activity is associated with the New Stream programme, a fundraising capacity building project operated by Business to Arts, which is now in its 8th year. The objective of The Fundraising Fellowship, Ireland is to enhance previous investment by cultural organisations in their strategic planning and fundraising. The programme addresses the lack of human resources dedicated to fundraising in the selected arts organisations. “Working with the Department of Culture, Heritage & Gaeltacht, we welcome Cork Film Festival and Druid Theatre to the Fundraising Fellowship, Ireland programme. This Fellowship builds on our existing partnerships, addressing long-term human resource issues facing the arts sector. Both organisations selected will develop and enhance their fundraising capacities through our intense programme of training and mentorship. We look forward to working with both organisations and hope our combined networks and resources will have a significant impact on their fundraising strategies for many years to come”.